If you’ve been relying on hummus for your high-protein healthy lunch or snack, we have sad news for you. Sabra is recalling several of its hummus products due to possible listeria contamination. Oh no; you weren’t planning on putting out a platter of hummus and crudités for pre-Thanksgiving snacks, were you? And you did all your Thanksgiving shopping over the weekend? Oy. Check out the list of recalled products on the FDA’s website, because it’s long. The recalled products have a “best before” date up through Jan. 23, 2017, which you can find on the lid of each package. 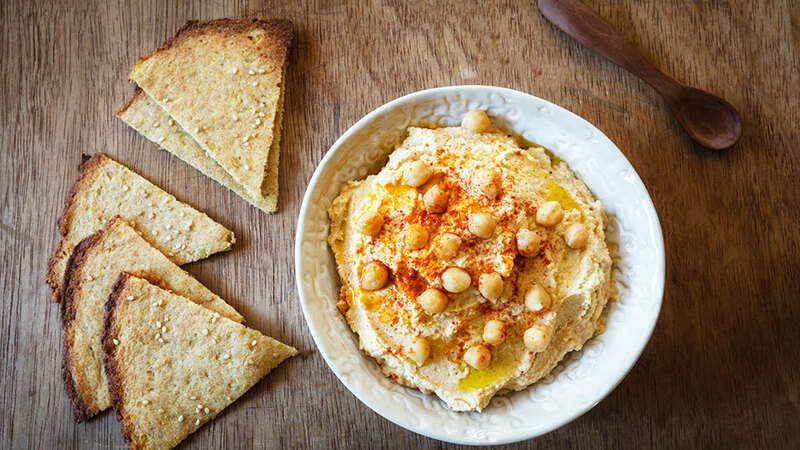 If you have any of these hummus products, don’t eat it (duh). Throw it out, or you may return it to the store where you bought it for a refund. For more information call Sabra at 866-265-6761 from 9 a.m. to 8 p.m. Eastern time. I guess this is a good time to mention that you can make your own hummus, and if you use Yotam Ottolenghi’s cooking method, it’s amazing. Soak 1-1/3 cups of dried chickpeas in water overnight, drain and cook in a solution of about 7 cups of water and 1 teaspoon of baking soda until soft. Purée with garlic, lemon and 1/2 of cup tahini (sesame butter), and keep adding olive oil until it has the consistency you like. Salt to taste, and maybe top with paprika.